New research from Loughborough University has revealed many four-year-olds are not physically ready to start school. Early Years specialists in the University’s School of Sport, Exercise and Health Sciences tested 45 Foundation Stage children at two different schools and found a larger number than previously estimated are experiencing problems with balance and coordination that are impacting their ability to learn in class. 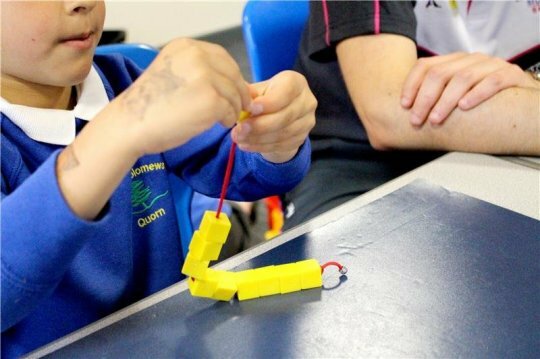 Researchers used a range of tests to assess Foundation Stage children’s physical development at the start of the school year and found just under 30% were ‘of concern’ with almost 90% demonstrating some degree of movement difficulty. The tests therefore reveal up to 30% of children are starting school with symptoms typically associated with dyslexia, developmental coordination disorder (dyspraxia), and ADHD. A supplementary study that questioned over 25 primary school Foundation Stage teachers also revealed teachers believe children are starting school less physically ready than ever before, with 80% of teachers identifying the decline having happened in the last three to six years. Loughborough study lead Dr Rebecca Duncombe, said: “A child’s physical development level impacts their ability to complete simple tasks such as sitting still, holding a pencil, putting on their shoes, and especially reading — all skills essential for school. Over the last year, Dr Duncombe and Movement for Learning programme leader Professor Pat Preedy have worked with classes at an independent and state school in England to pilot a programme designed to redress the decline in pupils’ physical development. Movement for Learning is a daily programme that gives children opportunities to move, improve fine and gross motor skills, and inhibit primitive reflexes. Activities include throwing, catching, balancing, articulating sounds and skipping. Two classes followed the programme over the school year and teachers have reported impressive early results. Movement for Learning programme leader Professor Preedy said: “Children today are moving less, they’re developing less well, and they’re learning less; we need to do something drastic to make sure children now and in the future get the movement they need to develop properly physically, intellectually and emotionally. “Research shows there is a link between early movement and children’s development and learning. “The Movement for Learning programme helps children do those movements they should have had the opportunity to do when they were younger and to be really ready to start learning and make the progress they should be doing when they start school. Researchers are now extending the Foundation Stage pilot to 30 schools and are in the process of recruiting Year One classes for the forthcoming school year.